The weather was unbearably hot and humid . 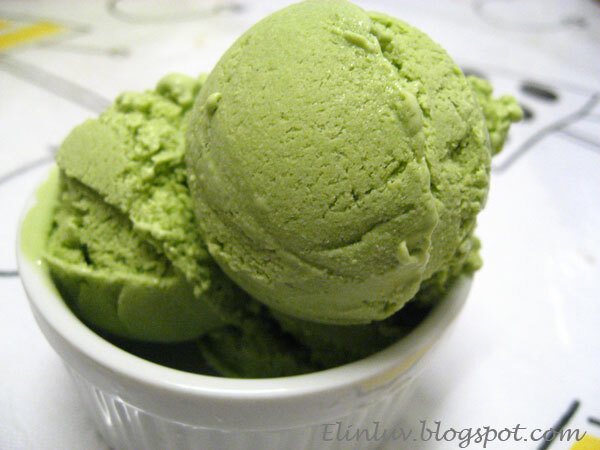 I made Green Tea Ice Cream ...it is the best dessert to serve after a meal..whether it is lunch or dinner . 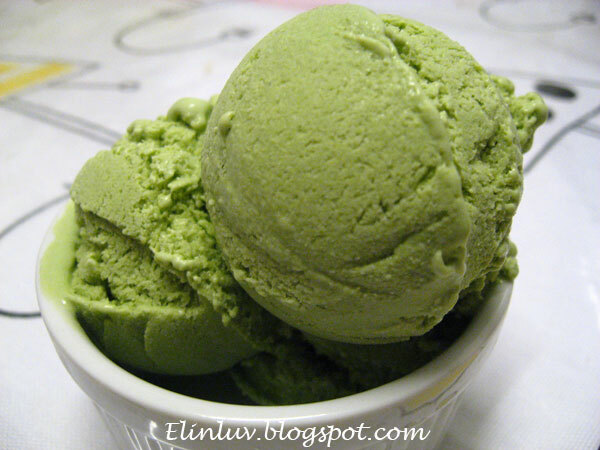 We love green tea so no problem with the green tea flavoured ice cream. If you are a green tea lover then you will most probably love this ice cream too. 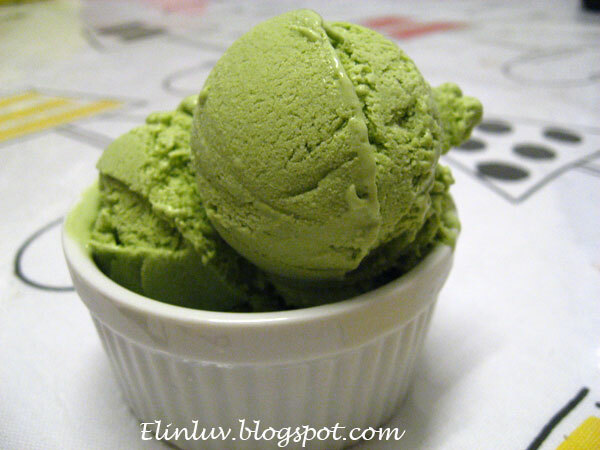 To make this ice cream you need to get the green tea powder from Japan . They are more fragrant and will make your green tea ice cream yummilicious, just the fragrance will be enough to make you yearn for another scoop ! Mix hot water and green tea powder together in a bowl and set aside. Lightly whisk egg yolks in a pan. Add sugar in the pan and mix well. Gradually add milk in the pan and mix well. Put the pan on low heat and heat the mixture, stirring constantly. When the mixture is thickened, remove the pan from the heat. Soak the bottom of the pan in ice water and cool the mixture. Add green tea in the egg mixture and mix well, cooling in ice water. Add whipped heavy cream in the mixture and stir gently. Pour the mixture in an ice cream maker and freeze, following instructions of the ice cream maker. Or, pour the mixture in a container and freeze, stirring the ice cream a few times if not using an ice cream maker. YUmmy! I love green tea ice cream, especially during the hot weather. Will be trying this soon, thanks for sharing!